Originally a Gentleman’s Club in the West End of London formed late 1904 The United Empire Club (“The Club“) was quintessentially English with a high percentage of aristocracy as members. Today The Club is not tied to one location but regularly holds meetings, events, lunches, dinner parties, charity fund raising events and other functions both daytime and evening in some of the most prestigious venues in England like castles, stately homes, and even “The House of Lords’. At every event there is always an opportunity to raise money for good causes and charity. This is the fundamental purpose of The Club. 100% of monies raised for charity and good causes goes to charities and good causes. We do not take out any administration fees. Our Membership Fees provide our running costs to keep noble honourable deeds of a good charitable nature alive on a global international membership basis. Some of the descendants of the original club, holders of English Titles inherited from their ancestors are members today. Bringing with them heritage of a bygone era when a nobleman or woman was by nature NOBLE, and gentlemen were GENTLE in nature, FAIR, HONOURABLE and DECENT. 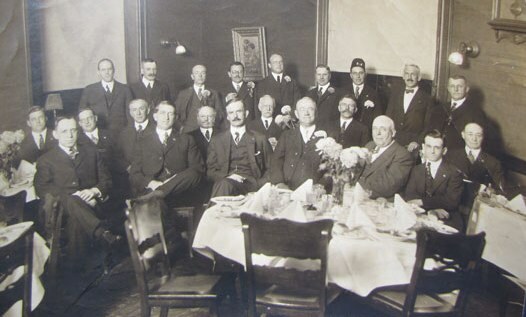 The United Empire Club has for several periods since 1904 suffered bouts of dormancy where its frugal membership have kept the club alive with annual lunches through noble patronage. The Club now aims through the advancement of technology and the medium of the internet to stretch out to an international membership who believe in old fashion principles of class and good taste. In the past The Club was often abbreviated to “Empire Club”. The Club was very much an event club attending most High Society functions. Today The Club is essentially the same and apart from the charitable events, there are always Horse Racing and High Society sports events to attend.